SAN ANTONIO, TX , April 28, 2017	(Newswire.com) - Fresh Success Marketing Group’s President outlined an upcoming career fair several of the firm’s associates will be attending. She also discussed a conference at which she is scheduled to speak. The leaders of Fresh Success Marketing Group are always looking for ways to bring the most talented and ambitious people into the fold. Trang, the firm’s President, explained, “We don’t just sit back and wait for great candidates to find us; we go to where they are and explain all the ways our firm helps people grow.” A few select members of the Fresh Success Marketing Group are set to attend a career fair at the University of Texas at San Antonio to spread the word about the organization. Trang commented, “Our associates will venture out to UTSA to let business-minded students know about our internship program and the many entry-level positions we offer. We want young candidates to understand that we emphasize continuing education and provide clear pathways to advancement for dedicated people.” The career fair allows Fresh Success Marketing Group associates to get up-close and personal with some of the brightest candidates entering the job market this spring and summer. This conference will provide all who attend with a range of innovative insights into the importance of initial and continuing professional education. Trang and her fellow Fresh Success Marketing Group leaders have become experts in these areas, and they give their team members plenty of opportunities to build upon their unique strengths. Fresh Success Marketing Group specializes in unique promotional initiatives that forge lasting connections between companies and their most receptive customers. The firm applies the combined talents of an exceptional team of branding specialists to generate impressive business growth and market expansion. 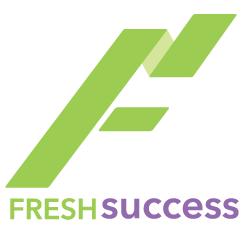 Through extensive market analysis and demographic research, Fresh Success Marketing Group has built a reputation as a reliable provider of consistently effective and memorable promotions. The company serves a diverse portfolio of clients, from small local startups to world-renowned corporations. Fresh Success Marketing Group is poised for expansion into new markets and a bright future as an innovative provider of event-based marketing. Learn more by visiting http://freshsuccessmarketinggroup.com/. Press Contact Fresh Success Marketing Group, Inc.